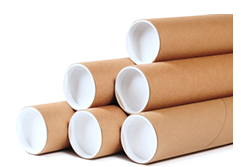 All prints are mailed in a 4" diameter tube and it is advisable to take it to be framed without removing from the tube. Attempting to roll the print again once removed from the tube can result in damaging the print by creasing the paper etc.. If the print is removed from the tube before framing, it should only be stored and transported flat. It is strongly recommended that you protect your print within a suitable frame. Each print shipment comes with more detailed suggestions for caring for each individual print that has been ordered.